In the last weeks of June, three undergraduate students in our department and Peter Jurgec (faculty) visited Slovenia to present ongoing research on Slovenian and to do fieldwork on two dialects of Slovenian, sponsored by a grant from the Germany/Europe Fund to Peter Jurgec. 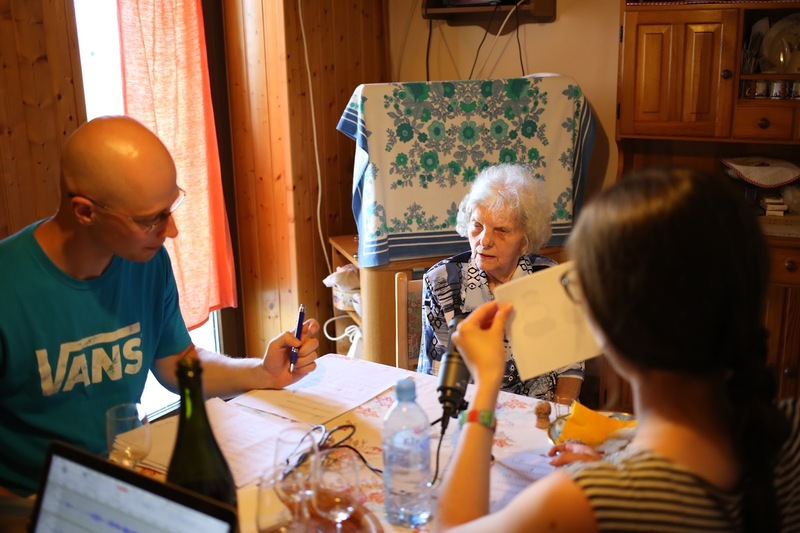 The participants organized the Ljubljana-Toronto Workshop, featuring presentations by U of T students Zhiyao (Vivian) Che (Velar Palatalization in Slovenian), Fernanda Lara Peralta (Interaction of vowel deletion and final devoicing in Šmartno Slovenian), Mia Sara Misic (Nasal harmony in Mostec Slovenian), and Peter Jurgec (Stress shift in Slovenian). The students had a chance to experience fieldwork firsthand. 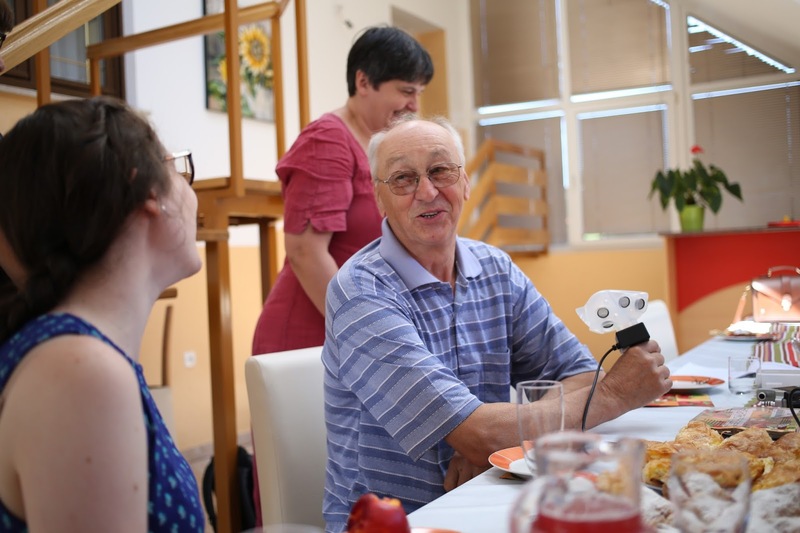 In Mostec, we examined nasal harmony using a dual-chamber nasalance mask, instrumentally confirming thus far the first case of nasal harmony in a Slavic language. In Šmartno, we looked at nominal paradigms, filling the gaps in the existing data, using elicitation. "I feel homesick for Slovenia and not even Toronto. It was really a lot of fun learning how to operate the nasometer on participants and handle the data. I had a wonderful time […] doing such cool fieldwork." "I loved being able to practically apply so much of what I had learned on campus to our fieldwork in Slovenia. The participants were wonderful people to work with and I really enjoyed analyzing their data and finding exactly what we were looking for (especially the nasal harmony!). I also greatly appreciated having the chance to give a presentation at the University of Ljubljana and valued the presentations they gave on Slovenian stress and dialectology." Researchers from Ljubljana will be visiting our department in February 2017. Slovenian and Toronto students in picturesque Ljubljana. a speaker of Mostec, a dialect of Slovenian with nasal harmony. 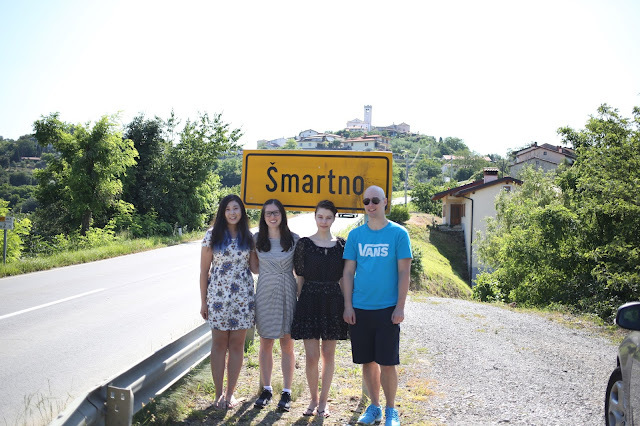 in front of the village of Šmartno [ˈʃmaɾtno], as seen above the sign.